You’ve been searching everywhere for those heavenly scented soy candles you found in a specialty shop — but have yet to find them. Did you know you can use your favorite scents and make your own? Follow these easy steps and you won’t be searching store shelves for your favorite candles any longer. 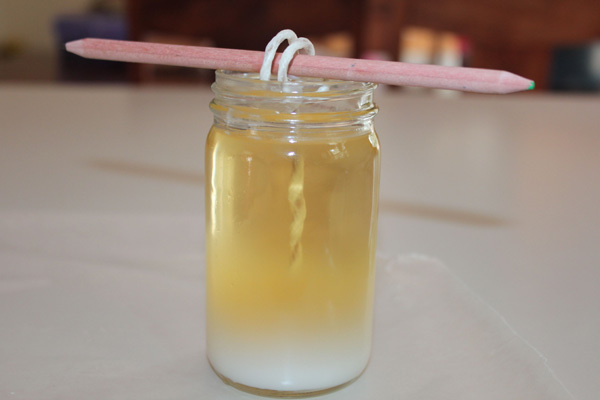 Soy candles are a healthy alternative to burning fragrance-filled artificially colored candles in your home. They burn clean in the air and do not aggravate the sensitive airways of people who have allergies or asthma. The only problem with these clever candles? The are expensive and hard to find. Believe it or not, you can make your own in much less time than it would take for you to go searching for them in specialty stores. Here’s how to do it. 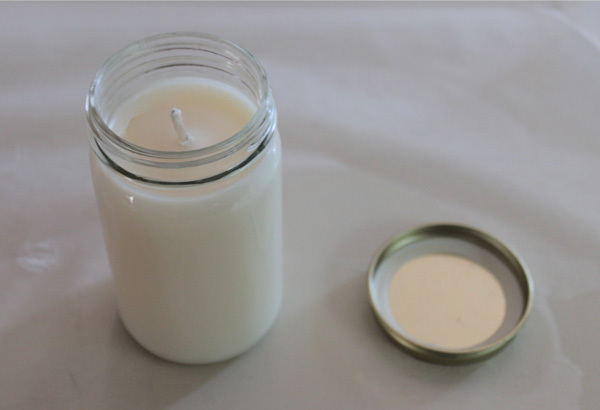 All you need to make your own soy candles are soy wax flakes, a double broiler, clean-burning wicks with anchors, a pencil, jars of your choosing, scented oils and wax paper to catch any drips or spills. 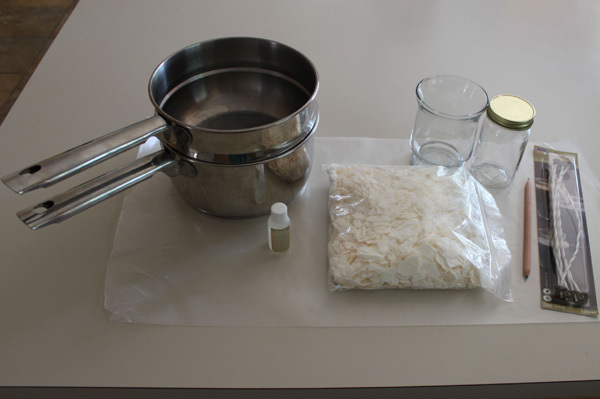 Have all of your supplies ready to go, as the process of melting the wax and setting the candle moves fairly quickly. Your candle holders need to be ready before you begin melting the wax, so make sure you are fully prepared. 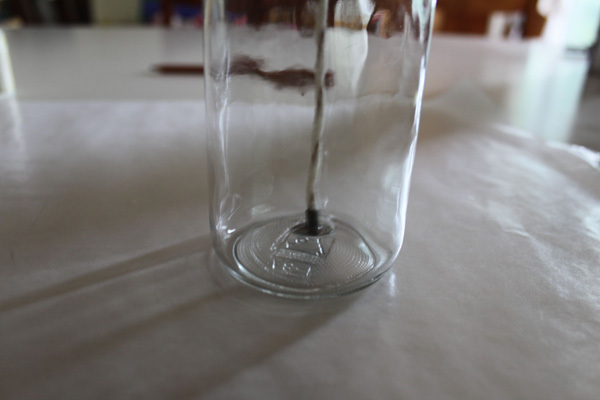 Secure your wicks to the center of the bottom of your glasses or tins (most wick packages come with a tacky backing to secure them; otherwise use a hot glue gun or a dab of sticky tape). 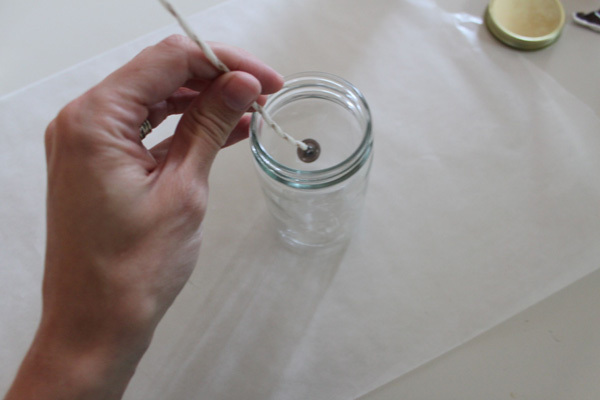 Once the wick is centered, hold a pencil horizontally across the top of your candle holder and wrap the wick around it until you can rest the pencil on your glass or tin. 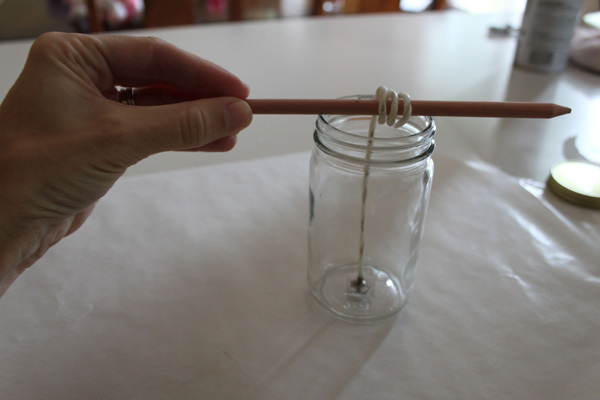 This will hold the wick in place as you pour the wax into the container. Get your double broiler started, boiling at a low boil, and pour twice the amount of wax flakes into the broiler as the amount of wax you need for your containers. 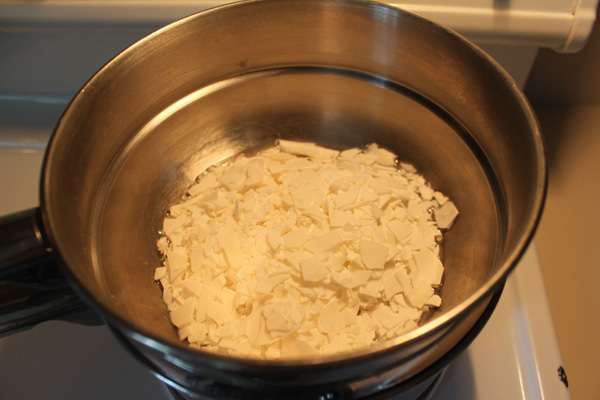 For example, if you are filling a 2-cup glass, you will need to melt about 4 cups of wax flakes. Stir slowly until all of the flakes have melted into a liquid with no lumps. Add several drops of the scented oil you have chosen into the liquid just before removing it from heat. You can use almost any scent you like as long as it is in oil form. Some of our favorites are lavender, vanilla and citronella (to keep the bugs away). 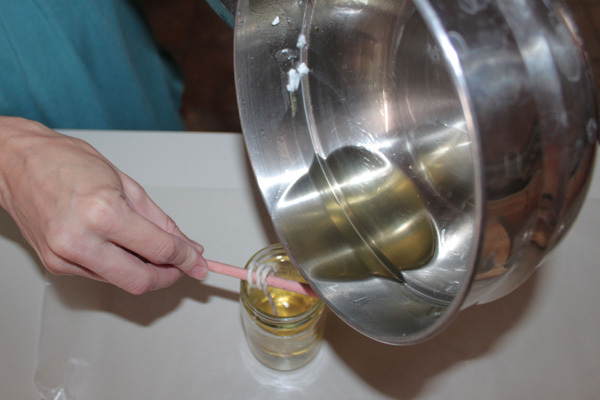 Carefully pour the melted wax into your container, making sure not to move the pencil holding your wick in place. You can use a strainer if you wish, but the liquid is fairly thick, making it easy to pour and control without risk of splashing or spilling. The wax will begin hardening right away, so do not move or adjust your candle. As it begins to harden, you’ll see the color lighten within the candle. Let sit for at least three hours before removing your pencil and trimming the wick. 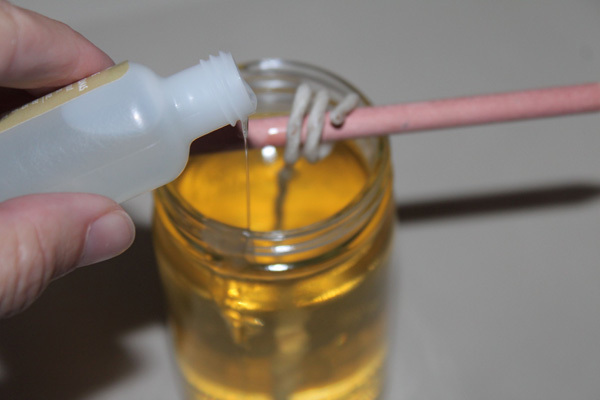 Generally you should trim the wick a quarter-inch to a half-inch above the level of your wax. To make sure the candle has set completely, let it harden overnight before burning your new creation. Step 6: Sit back and enjoy! You’re breathing in clean air that smells great and is easy on your budget. 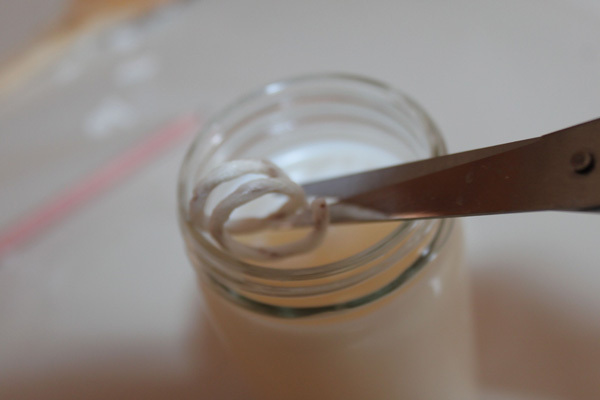 Don’t let the candle fun stop there, learn how to make votice candles below!